MILWAUKEE – The University of Wisconsin System will be waiving application fees for all students applying to any of the 13 two-year UW Colleges campuses for the Fall 2018 term, effective today and running through Sept. 7, 2018. 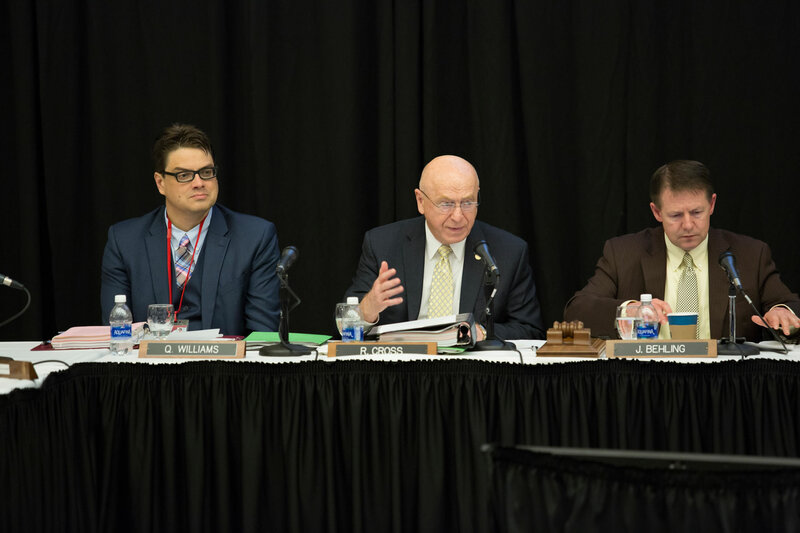 “During the transitional period of restructuring, we want to reassure prospective students that all campuses remain open and encourage them to apply and enroll,” said UW System President Ray Cross, making the announcement at today’s Board of Regents meeting in Milwaukee. See the UW System news release regarding the fee waiver. The one-time application fee waivers are intended to eliminate one possible barrier for prospective students during the transition. The UW Colleges have traditionally served as important access points for students, particularly those at risk of not being able to afford college: first-generation, low-income, and underserved communities. The restructuring plan maintains existing tuition levels for classes currently offered at the two-year institutions to keep them affordable for students and families. 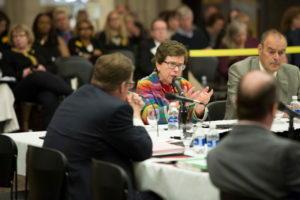 Less than a month away from July 1st, the official start date of the UW Colleges and UW-Extension restructuring project – pending approval by the Higher Learning Commission – Cross told Regents that “we are on track, on time, and ready to deliver.” The UW System expects to hear HLC’s official decision later this month. Cross said key transition activities ongoing include: changing the reporting structure for UW Colleges and UW-Extension employees; reconfiguring the Student Information Services; and launching a revised EApp. UW-Madison Chancellor Rebecca Blank also provided an overview of the planning efforts around the UW-Extension units moving to UW-Madison, including Cooperative Extension, the Conference Centers/Mail Services, the Department of Labor Education, and Wisconsin Public Television and Wisconsin Public Radio. 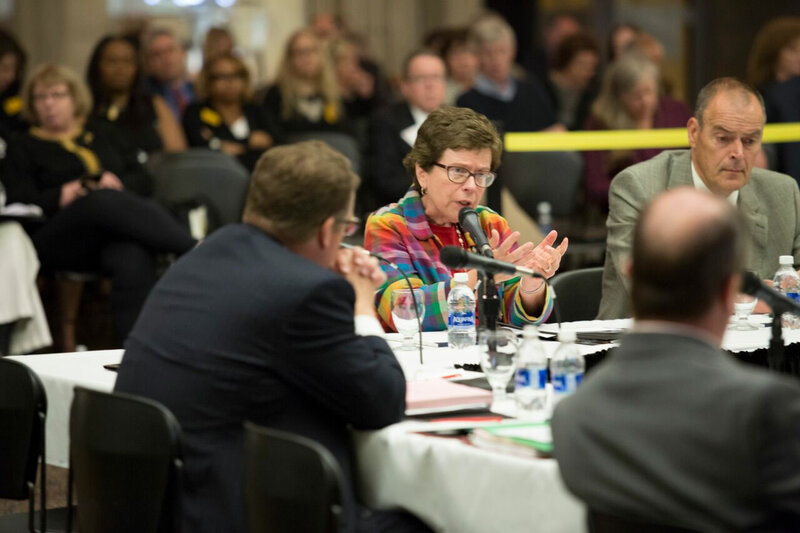 Regents unanimously approved a resolution calling for UW System to develop or modify human resources policies to ensure more robust hiring and reference check processes related to sexual harassment be implemented at all UW System institutions. New or revised policies are expected to be brought to the Board at its August meeting. See the UW System news release regarding hiring policies. Shenita Brokenburr, Senior Vice President in UW System’s Human Resources office, briefed Regents on the recently-formed President’s Sexual Violence and Harassment Priorities Working Group. The working group is charged with monitoring and reporting on the implementation of recommendations provided in the UW System’s Taskforce on Sexual Violence and Harassment report in 2016. One of the key recommendations in the Task Force report is mandatory training for all UW System employees and students to prevent sexual violence and harassment. “We are proud to report a 99.6 percent completion rate for sexual harassment training for full-time employees,” said Brokenburr, who co-chairs the new working group with Quinn Williams, UW System General Counsel. Student compliance rates will be reported in fall 2018. “We have poured more than 30,000 graduates into the workforce in the last five years,” said Mone, noting that through a multifaceted cluster of services, UWM students have more opportunities to get coaching and mentoring, learn as interns, explore entrepreneurial skills and complete their coursework faster. The results of these efforts are materializing, said Mone, noting that student retention has increased 1 percent in each of the last four years. “The achievement gap is one of our most important challenges, and we’re facing it head-on,” he said. 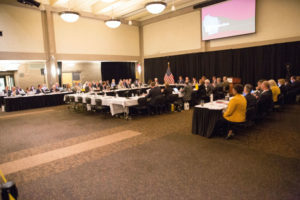 Mone also told Regents that discussions with alumnus Satya Nadella, CEO of Microsoft, led to that company’s involvement in UWM’s new statewide Connected System Institute. Through the institute, researchers will collaborate with industries such as Rockwell and Foxconn to find solutions that will help revolutionize smart manufacturing and prepare students for the digital jobs of the future. UWM is also developing a sizable entrepreneurial ecosystem. Through UWM’s training programs, 16 startup companies have launched, attracting another $1.6 million in follow-on investment. 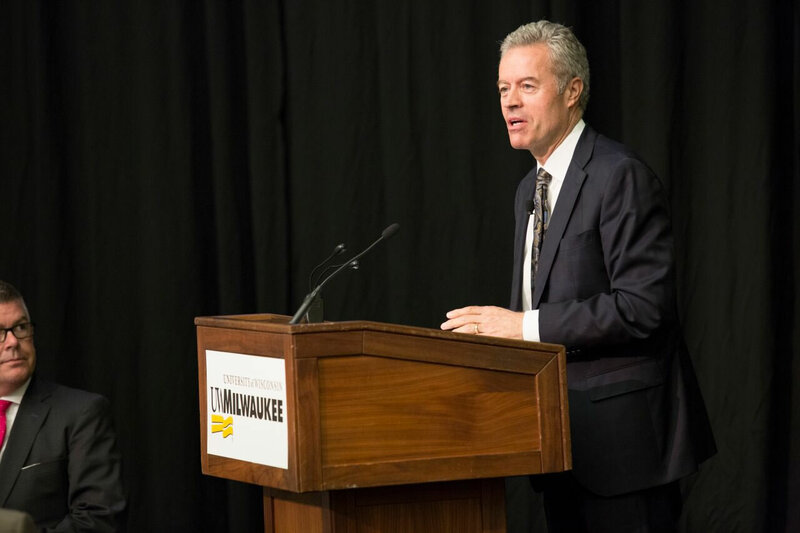 “UWM is positioning students and employers for what lies ahead,” Mone said. Regents welcomed their newest member, Cris Peterson of Grantsburg. Peterson is owner and chief financial officer of the Four Cubs Dairy Farm. 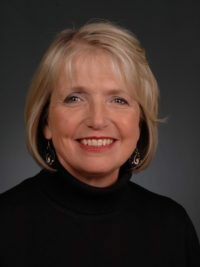 She was named the 2004 World Dairy Expo woman of the year, and also earned the 2002 Association of Women in Agriculture outstanding woman award and 1997 Wisconsin farm woman of the year award. 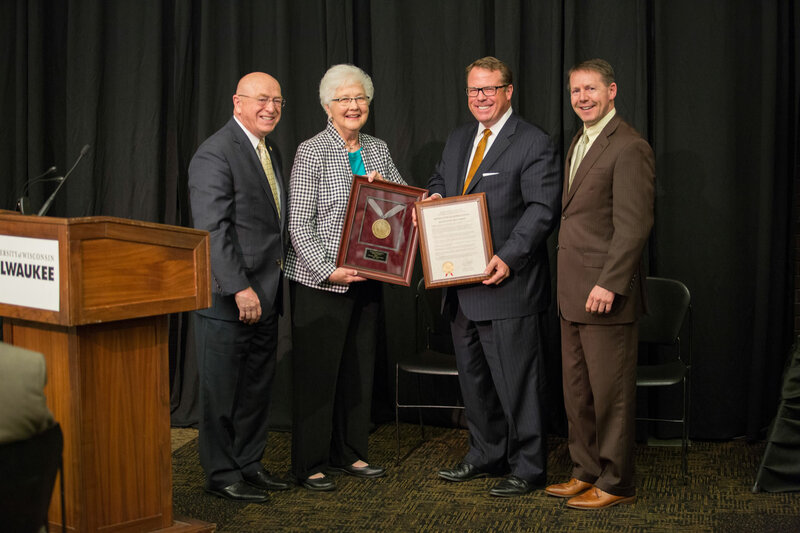 The Board also recognized the service of Regent Emeritus Margaret Farrow, who resigned from the Board late last year. She also told Chancellors not to be shy in encouraging students to stay in Wisconsin after they graduate. “We must tell these kids, wherever they are, they must stay here and build our future,” she said. Related to the restructuring of UW Colleges and UW-Extension the Education Committee approved the establishment of two new academic entities: the College of General Studies at UW-Milwaukee and College of Integrated Studies at UW-Whitewater. Both new colleges will house the branch campuses, which currently are known as UW-Waukesha County, UW-Washington County, and UW-Rock County. The Committee also approved the UW Colleges Tenure Transfer Report that transfers tenure to new system institutions for 495 UW college faculty. Discussed the Education Committee’s task force on an outcome-based funding model for UW System. The task force presented the model to the state Legislature’s Joint Finance Committee on Feb. 18. The finance committee approved the model, allocating $26.2 million in performance-based funding to UW institutions. Under the new model, some of each university’s funding will be based on how well it does on various metrics of performance. The Capital Planning and Budget Committee approved several construction and renovation projects, including the design and construction of the gift-funded UW-Eau Claire Visitor Center and Admissions building ($5.5 million); initial renovations of UW-Milwaukee’s Northwest Quad, formerly a hospital, into business and instructional space ($53 million); and renovation and addition of lounge space to May Hall, a residence hall on the UW-River Falls campus (budget increase of $2.4 million). Heard a presentation from UW-Milwaukee advocating adding three capital projects to the 2019-21 budget, including replacing its aging Chemistry Building and extending the utilities to support a new building. UW-Milwaukee campus officials also described $40.7 million in needed renovations to its student union, as a first phase, and a $9 million reconfiguration of the Klotsche Center Annex to provide a more equitable amount of space between recreational use and athletic programs. Approved a recommended name change, pending HLC approval of the UW Colleges and UW-Extension restructuring, for UW-Barron County to become UW-Eau Claire – Barron County. REDI Committee members heard an overview of the work that UW-Milwaukee is doing to help power the region’s economic engine. Brian Thompson, president of the UWM Research Foundation and director of the Lubar Entrepreneurship Center, and Jessica Silvaggi, the foundation’s senior licensing manager, highlighted university research and innovation. One key underpinning of the foundation’s efforts are catalyst grants, funded by local foundations and corporations to support promising faculty work. The $4.96 million invested in these grants has already generated $19 million in follow-on funding – work funded at UWM and also investments in startup companies. “It is important to note that this is all private support,” Silvaggi said. The foundation, working in various partnerships, has 126 patents issued or pending, and 73 license or option agreements completed to date. Committee members also heard from a panel talking about how internships help UW System build a diverse and inclusive workforce. Vice President for Finance Sean Nelson provided Regents with a brief update on the movement of Trust Funds investment activity to the State of Wisconsin Investment Board. Received a high-level summary report comparing budgeted to actual revenues and expenditures through the third quarter of the fiscal year. This interim report shows that as of March 31st actual expenditures were approximately 75.2% of the Regent approved budget, while revenues were at 86.4% of the budgeted level. Chief Audit Executive Lori Stortz and audit directors provided a high-level overview of recently issued reports related to bank account creation, management, and oversight, and payroll continuous auditing. Received an update on the Fiscal 2018 Audit Plan progress as well as internal audit activities and were provided the preliminary 2019 Audit Plan for adoption. Received an update from Director Steve Mentel on the progress management has made toward resolving comments and implementing recommendations included in audit reports. The Board of Regents will resume its meeting at 9 a.m. on June 8, 2018, in Milwaukee.